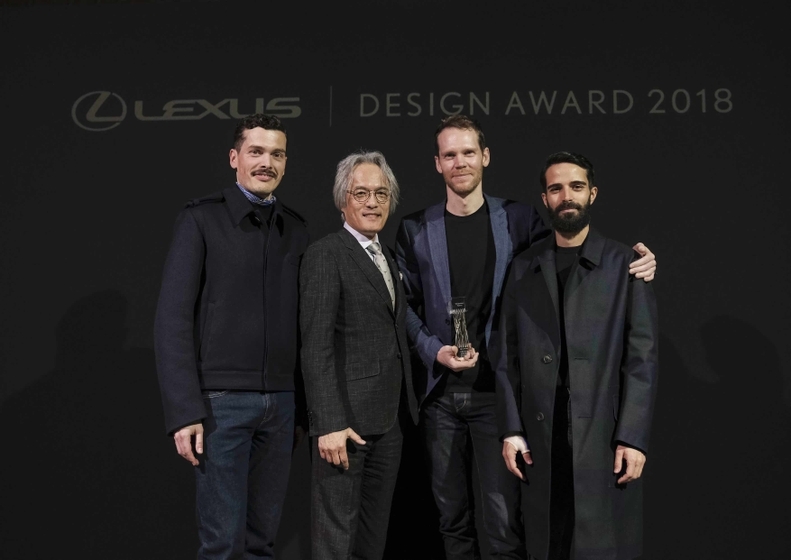 MILAN (April 17, 2018) — Lexus International today announced the Grand Prix winner of the Lexus Design Award 2018 – Testing Hypotheticals by Extrapolation Factory – bringing the sixth edition of the Award to a pinnacle of excitement. 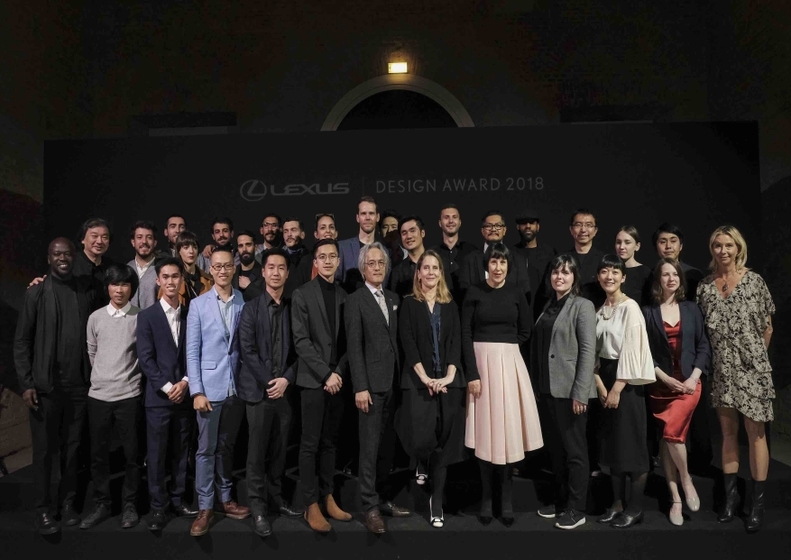 The 2018 Lexus Design Award drew a record 1319 entries from 68 countries under the theme of “CO-“. The winner was selected by a group of design luminaries: Sir David Adjaye, Shigeru Ban, Paola Antonelli, Birgit Lohmann, Alice Rawsthorn, and Yoshihiro Sawa. Lexus passionately believes in the power of design to change the world. For this reason, Lexus nurtures and celebrates up-and-coming designers who harness the power of design to shift perspectives, communicate ideas and stimulate the imagination to shape a better future. Since 2013, the Lexus Design Award has supported the next generation of designers from around the world. For its sixth year in 2018, the Award’s theme is “CO-”, a Latin prefix meaning with or together. Lexus believes that great design can ensure the harmonious coexistence of nature and society. In that sense, “CO-" is an approach that allows the brand to explore its true potential and that of the environment by creating new possibilities through collaboration, coordination and connection. From among the wealth of “CO-” design submissions, our elite judging committee has selected 12 finalists, four to be prototyped and eight to be shown as display panels. These will be revealed to the international design community at Lexus’ “LIMITLESS CO-EXISTENCE” exhibition, held 17-22 April 2018 in the Cavallerizze in Museo Nazionale della Scienza e della Tecnologia Leonardo da Vinci during Milan Design Week, the world's premiere design event. Following the strong engagement of the public with the Lexus Design Award displays in the past, Lexus has created the “LEXUS DESIGN AWARD 2018 PEOPLE’S CHOICE” allowing even more interaction than ever before. The winner is determined by votes cast on the website from 16 to 21 April and announced on 22 April, the event's final day. Born in Tokyo in 1957. Graduated from the Cooper Union. Started working for Arata Isozaki & Associates in 1982. Founded Shigeru Ban Architects in 1985. Became consultant to the United Nations High Commissioner for Refugees (UNHCR) in 1995. Established the NGO, Voluntary Architects' Network (VAN) in the same year to support disaster relief. Selected works include Nicolas G. Hayek Center, Centre Pompidou- Metz, and Oita Prefectural Art Museum. Recipient of multiple awards, including Grande Médaille d’or de l’Académie d’architecture (2004), Arnold W. Brunner Memorial Prize in Architecture (2005), Grand Prize of AIJ (2009), Honorary Doctorate from Technische Universität München (2009), L’Ordre des Arts et des Lettres, France (le grade d’officier) (2010), Auguste Perret Prize (2011), Art Prize from the Japanese Agency for Cultural Affairs (2012), L’Ordre des Arts et des Lettres, France (le grade de commandeur) (2014) and JIA Grand Prix (2016). Served as Professor at Keio University (2001-2008), Visiting Professor of Harvard University GSD and Cornell University (2010), and currently Professor at Kyoto University of Art and Design (2011-), Guest Professor at Keio University (2015-). Laureate of the 2014 Pritzker Architecture Prize. Paola Antonelli is Senior Curator of Architecture & Design at The Museum of Modern Art, as well as MoMA’s founding Director of Research & Development. Her goal is to promote design’s understanding, until its positive influence on the world is universally acknowledged. Her work investigates design’s impact on everyday experience, often including overlooked objects and practices, and combining design, architecture, art, science and technology. She has curated numerous shows, written several books, and lectured worldwide. She has taught at the University of California, Los Angeles; the Harvard Graduate School of Design; and the MFA programs of the School of Visual Arts in New York. She is currently working on an exhibition on the 111 garments that changed the world; on Design Bites, a book about foods from all over the world appreciated as examples of design; and on a book collecting her essays on the different fields of contemporary design. Alice Rawsthorn is an award-winning design critic, who has written about design for the New York Times for over a decade. Her latest book Hello World: Where Design Meets Life explores design’s impact on our lives. Her next book, Design as an Attitude, is to be published in May 2018 as a survey of design today. Alice speaks on design at important global events including TED and the World Economic Forum’s annual meetings at Davos, Switzerland. Based in London, she is chair of trustees of the Chisenhale Gallery and the contemporary dance group Michael Clark Company, and a trustee of the Whitechapel Gallery. Alice was awarded an Order of the British Empire (OBE) for services to design and the arts. Decades before founding her eponymous studio, Lindsey Adelman was already a designer — just not publicly so. First, she was simply a precocious, curious child, building endlessly in the backyards of suburban New York, uncertain of how to make a career of it; then, an English student at Kenyon College; then, on the editorial staff at The Smithsonian Institution. Fortunately, there, her accidental discovery of industrial design — in the literal form of a fabricated foam French fry — propelled her off to RISD to make a life of that childhood passion. Today, from her studios in New York and Los Angeles, she manipulates light to create fixtures that are as emotive as they are physically transformative — objects imbued with their own history and meaning, often unselfconsciously so, that give color and texture and depth to the world around them. Andrea Trimarchi and Simone Farresin are Studio Formafantasma, Italian designer duo based in Amsterdam, Netherlands. They have developed a coherent body of work characterized by experimental material investigations and explored issues such as the relationship between tradition and local culture, critical approaches to sustainability and the significance of objects as cultural conduits. Their work has been presented and published internationally and museums such as New York's MoMA, London’s Victoria and Albert, New York's Metropolitan Museum, the Chicago Art Institute, the Textiel Museum in Tilburg, the Stedelijk Museum 's-Hertogenbosch, MUDAC Lausanne, the Mint Museum of Craft and Design in North Carolina and the MAK Museum in Vienna have all acquired Formafantasma’s designs for their permanent collections. Andrea and Simone are lecturing and heading workshops in various Universities and Institutions. Currently teaching at the ‘Well Being’ and 'Contextual Design' Departments of the Design Academy Eindhoven and they are at the head of the Design bachelor at MADE Program in Siracusa, Italy. Sou Fujimoto was born in Hokkaido in 1971. Graduated from the Department of Architecture, Faculty of Engineering at Tokyo University, he established Sou Fujimoto Architects in 2000. In 2016, he has won the 1st prize for“Pershing”, one of the sites in the French competition called 'Réinventer Paris', following the victories in the Invited International Competition for the New Learning Center at Paris-Saclay Ecole Polytechnique and the International Competition for the Second Folly of Montpellier in 2014. In 2013, he became the youngest architect to design the Serpentine Gallery Pavilion in London. His notable works include; “Serpentine Gallery Pavilion 2013” (2013), “House NA” (2011), “Musashino Art University Museum & Library” (2010), “Final Wooden House” (2008), “House N” (2008) and many more. Jessica Walsh is a designer & art director working as a partner at NYC based design firm Sagmeister & Walsh. She lectures about design at creative conferences and universities internationally and teaches design at The School of Visual Arts in NYC. Her work has won numerous awards from most major design competitions including Type Director’s Club, Art Directors’ Club, SPD, Print, New York Festivals, D&AD, TDC Tokyo, and Graphis, among many others. She has been awarded Forbes “30 under 30 top creatives designing the future” and Ad Age’s “Top 10 Visual Creatives". Her work has been featured in numerous books & magazines. Clients include the Museum of Modern Art, The Jewish Museum, Jay-Z, Snapchat, Barneys, The New York Times, Levis, Adobe, and The School of Visual Arts. She hosts mentorship programs for creative women through her initiative Ladies, Wine & Design; which has spread to over 110 chapters around the world. Her blog & book “40 Days of Dating” received over 10 million readers and is currently being turned into a movie by Warner Brothers.